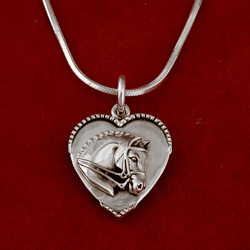 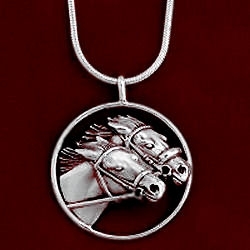 Sterling silver nose to nose race horses inside circle on 18″snake chain. 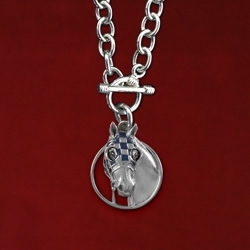 Circle measure 1 3/8″ in diameter. 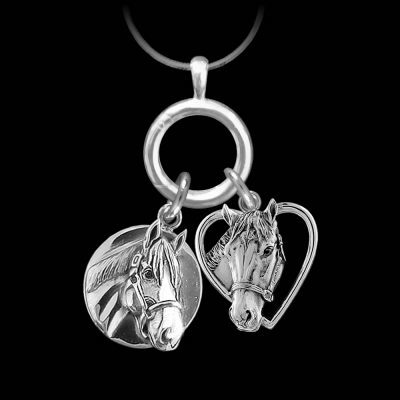 A dramatic piece to show your love of horse racing!